Back in March, President Obama made a special appearance at SXSW in Austin, Texas to discuss how to make changes in our country through innovation and creativity. 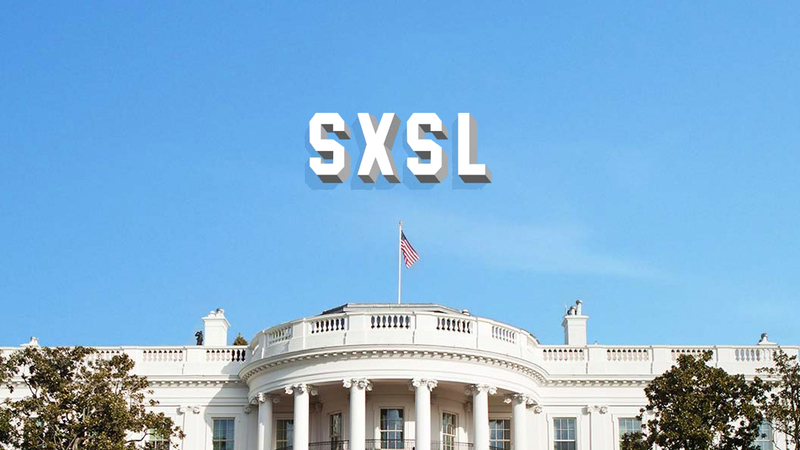 Following his SXSW debut, the President officially announced that he would be hosting a special festival in his own backyard, to bring attention to various artists, speakers, and filmmakers who are taking the initiative to make the world a better place. Today, just a week before the event is set to take place, The White House has unveiled the diverse lineup for the first-ever South by South Lawn Festival and it rules. According to the official White House website, the President chose "both well-known and emerging artists who are using their music to inspire." SXSL will host performances by The Lumineers, Sharon Jones & The Dap-Kings, and DJ Beverly Bond. While this lineup is already something special, there are more artists expected to be announced before the event takes place in Washington, DC on October 3! If you aren’t able to make it out to this influential event, you can livestream it at WhiteHouse.gov, Facebook.com/WhiteHouse, AND sxsw.com/live! Also, make sure you’re tracking these artists on Bandsintown so you never miss another show! “It is you, the young and fearless at heart, the most diverse and educated generation in our history, who the nation is waiting to follow.” —President Obama. In that spirit, South by South Lawn will challenge innovators, creators, and organizers to help tackle our toughest challenges. There's one day left to nominate a changemaker in your community to attend #SXSL. Head to wh.gov/SXSL to submit your nomination by Saturday, September 10th at 5pm ET.